Ship from Hongkong. This baby nail clipper is perfect for parents to trim babies' long nails. It is safe, keep baby from getting hurt when being trimming its nails. 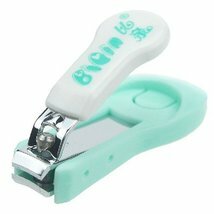 It is better that using the baby nail clipper instead of adult nail clipper.